One of the best weapons to have in your arsenal when big game hunting in the back country is a good map. Pre-planning your hunt is so important and we can provide the invaluable tool that will help increase your chances of success. Big Game Hunting Maps, in business since 1990, sells maps based on National Forest and Bureau of Land Management maps for twelve Western states. We add important information for each hunting area based on data obtained from state and federal biologists working in the field. These professionals accumulate information by observing wildlife and talking to hunters. Some of our information has also come as feedback from return customers. When big game hunting, information is your best weapon —our maps provide area specific information to help you develop your hunt strategy. 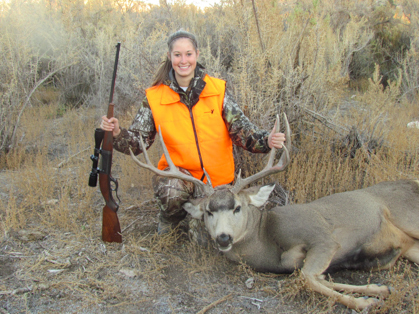 From hunting elk in Colorado, Idaho, or Utah, to tracking deer in Arizona, the details our maps provide are helpful if you plan on hunting in an unfamiliar area or you just need more information on a certain area or state. Most of the maps provide information for deer and elk hunts, but you can check the Map Index to obtain details on other big game and in what state they are plentiful. Most of our maps cover portions of several hunting areas, consequently, many areas are shown on more than one map—study details under each state listing to be sure you target the areas you want. Maps are up-dated on an as-needed basis and as we receive new information about a specific hunting area. Circled areas on BGHM's maps indicate good habitat and these would be areas that the big game prefer. These particular hunting areas are then color coded into “Popular” and “Quality”. A Popular area has good habitat that can more fully insure hunter success—it is also easily accessible so you will encounter more hunters. A Quality area also has good habitat but is more remote with limited access, which makes it more difficult getting in and out. The Quality areas offer more solitude, if that is your preference. 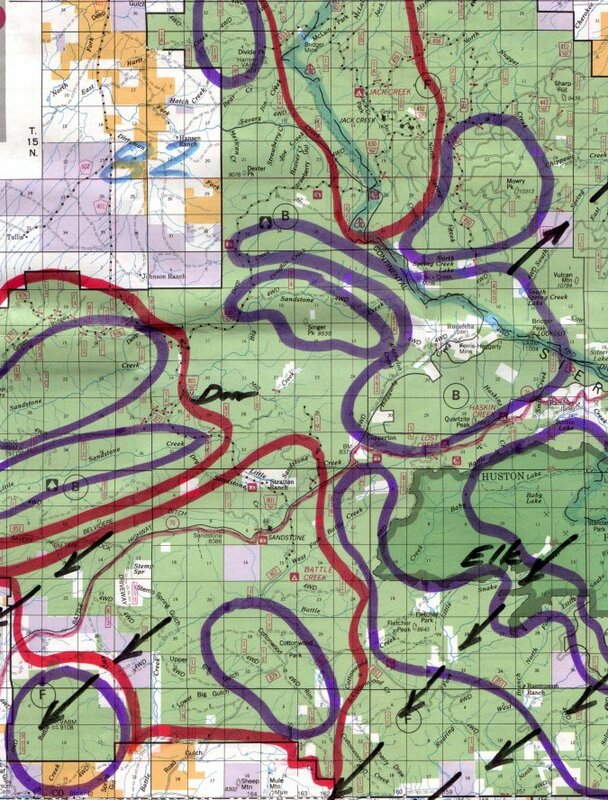 National Forest and BLM maps distinguish privately-held land in white and this should be a consideration when planning your trip. View complete map index for all states, zones/units, species and locations. Order any indexed map for Deer, Elk, Turkey, Pigs and more. Many customers have shared photos and stories from successful hunts where they used our maps.